Properties in Santa Rosa Beach average 4.6 out of 5 stars. Inn at Gulf Place 3413 - Book your spring getaway! Property 1: Inn at Gulf Place 3413 - Book your spring getaway! Seas The Day!!! Pool /Jacuzzi Right At Your Back Door! 2 Beach Chair set-ups! Property 2: Seas The Day!!! Pool /Jacuzzi Right At Your Back Door! 2 Beach Chair set-ups! Inn at Gulf Place 3417 - Book your spring getaway! Property 3: Inn at Gulf Place 3417 - Book your spring getaway! Relax at Gulf Place in "Palms on 30A" a 1 bedroom/ 1 Bath Sleeps 4! Property 4: Relax at Gulf Place in "Palms on 30A" a 1 bedroom/ 1 Bath Sleeps 4! Property 8: Newly updated San Remo 309, 3/3, pool, hot tub, corner condo! Beach Serv Inc! Gulf Place Caribbean 308 - Your spring NW Florida vacay awaits. Property 10: Gulf Place Caribbean 308 - Your spring NW Florida vacay awaits. Heather's House, Great Gulf Views! 3rd Floor Studio Condo in Gulf Place! Call to book for 2019! Property 13: Heather's House, Great Gulf Views! 3rd Floor Studio Condo in Gulf Place! Call to book for 2019! If You Are Beach Bound, Look No More. Property 14: If You Are Beach Bound, Look No More. SEAS 30A - NEWLY REDUCED RATES!! Property 16: SEAS 30A - NEWLY REDUCED RATES!! Property 23: Beautiful Condo Steps from the Beach with Lovely Large Patio. Great gulf view from Building 6 at Beachside Villas - Seasonally Heated Pool! Property 26: Great gulf view from Building 6 at Beachside Villas - Seasonally Heated Pool! Spectacular Ocean View! Great Location On 30A / King Bed, WIFI ,Newly Remodeled! Property 27: Spectacular Ocean View! Great Location On 30A / King Bed, WIFI ,Newly Remodeled! San Remo 205 - Comfortable Gulf Front Living, 30A, Community Pool, Hot Tub, Gym! Property 28: San Remo 205 - Comfortable Gulf Front Living, 30A, Community Pool, Hot Tub, Gym! Brand New & Completely Remodeled - Walk To Rosemary and Alys Beach! 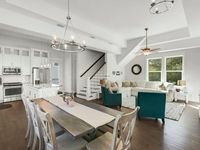 Property 32: Brand New & Completely Remodeled - Walk To Rosemary and Alys Beach! 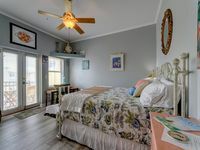 30-A Seagrove Condo Ocean View 1 Bed 1 Bath+Bunks, Spring Specials! Property 33: 30-A Seagrove Condo Ocean View 1 Bed 1 Bath+Bunks, Spring Specials! Newly Remodeled - Close to Destin - No Crowds - Gorgeous Views! Property 35: Newly Remodeled - Close to Destin - No Crowds - Gorgeous Views! Property 41: 25% OFF APRIL - Discount reflected in rates! Gulf Views! Secluded Coastal Cottage 1- Bikes included-Golf cart available! Property 42: Secluded Coastal Cottage 1- Bikes included-Golf cart available! Property 43: 30A bungalow-Everything you need right here. Great pool, close to the beach. Property 45: Beautiful New Condo! Steps from the Pool and Beach! NEW to Market! Gulf Place Cabanas "Beachbound" is Gulf Front! Property 47: Gulf Place Cabanas "Beachbound" is Gulf Front! Property 49: Dates available at this beautiful, renovated unit. Come live the 30A Life! Large, Modern Santa Rosa Home - Walk to Beach! Property 50: Large, Modern Santa Rosa Home - Walk to Beach! Beautiful home located within an easy walk to the beach. The house is very nice. We especially liked the screened in porch and the spacious downstairs living space. It is a short walk to the beach. There are loads of games, dvd&rsquo;s, and three different gaming systems. We didn&rsquo;t play any of the gaming systems, but I am sure that kids would love what they offer. The kitchen was very well appointed including a gas stove, crockpots, and both a drip coffee maker and a small Keurig. The only suggestions would be: add some window coverings in the downstairs area, provide a broom and dust pan, and add a sound bar to the tv downstairs. The tv is big and has a great picture, but the audio was bad. We loved our time at the beach and look forward to a return stay!